It has been my honor to serve you over the last 10 months. With the start of the City Council recess in July, we also began our new fiscal year 2019. As a city, we have so much to celebrate with initiatives begun, progress made and obligations met. This includes new restaurants to patronize, the expansion of a few of our current businesses, the funding of our capital improvement projects and the new opportunities for home ownership and even rentals in Surprise. Our Economic Development department has certainly been busy. 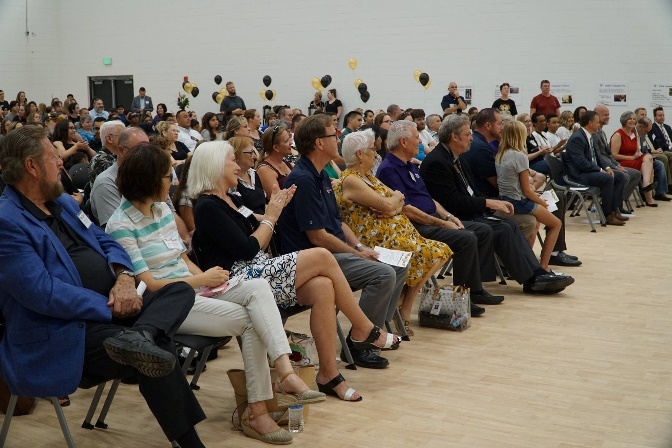 We’ve recently celebrated new business openings and expansions in District 3 that include the expansion of Dickey’s Barbeque; a new Planet Fitness (15569 W. Bell Road); and Highland Prep’s new buildings (15600 W. Hearn Road). 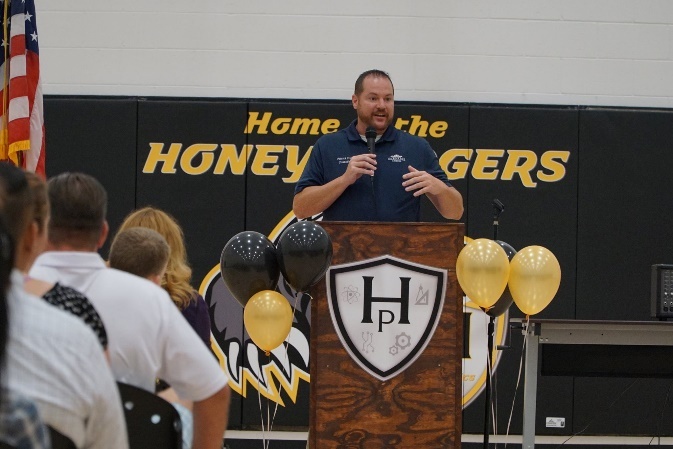 Highland Prep recently opened their 36,000 square foot, state of the art educational building with 20 classrooms, a gymnasium and athletic field. 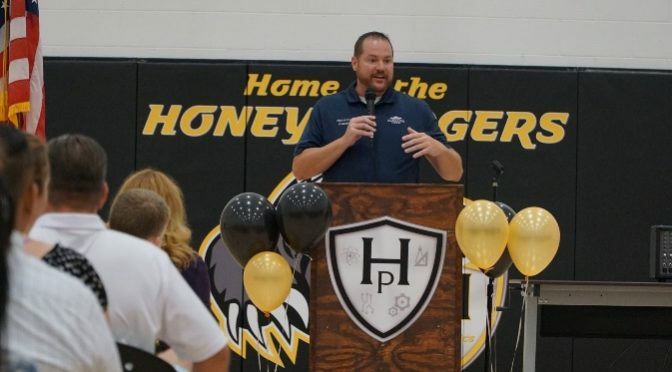 Highland Prep is a tuition-free STEM, college preparatory high school with a rigorous academic program. 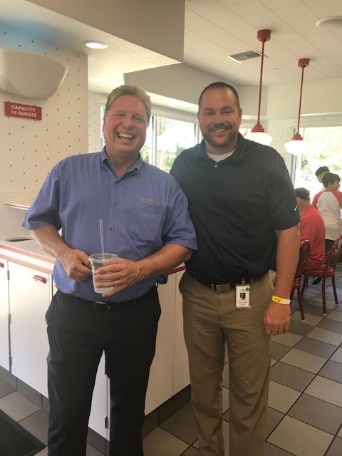 Over the last few months, we have also celebrated the openings of In-N-Out Burger, Codobe (coworking space), Menchie’s Yogurt, and Pieology. MagQu, LLC opened in July in the AZ TechCelerator. This Taiwan-based company is bringing their early-Alzheimer’s diagnostic technology to the US market. 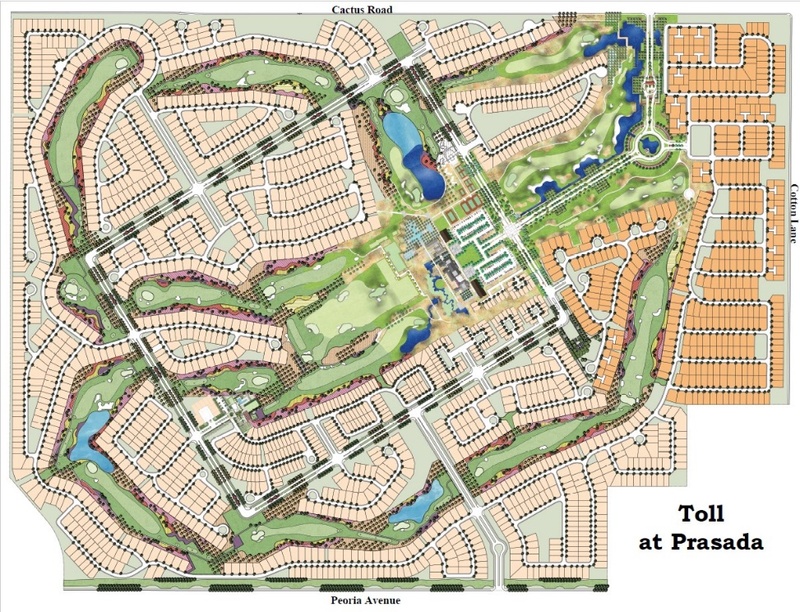 Toll Brothers at Prasada, located at the southwest corner of Cotton and Greenway roads, submitted Phase 1 of their project which includes a total of 234 lots for approval of their Final Plats. Approval of these plats and other dedication plats will allow Toll Brothers to start earth work on the project. Toll at Prasada includes a total of 2,201 residential units in 18 parcels that will be developed over 10 phases. This gated community will feature a golf course, a variety of sport courts, 30,000 square foot club house and many other additional amenities. Homes will range from 1,400 to 4,000 square feet. Models are slated to open in early 2020. A new 6,000 square foot multi-tenant commercial building located near Sierra Montana is also in the planning phase. Walmart, 14111 N. Prasada Gateway, is working on tenant improvements for a pick-up area for their online grocery pick-up requests. Outside of District 3, West-MEC continues to expand at their location on Dysart and Grand Avenue and a Café Rio is slated to build at Litchfield and Bell road. The Public Works Department’s Pavement Preservation Program is an annual program in which identified city streets receive appropriate applications to lengthen the life of the street surface. The identified city streets are selected by conducting a pavement surface inspection and receiving an overall condition index rating. The city’s Pavement Preservation Program runs annually from September through June. The street treatments include Crack Sealing, Master Seal, Chip Seal, Mill & Rubberized Asphalt Overlay, Micro Surfacing, and Type II Slurry Seal. It has been a busy summer with a variety of offerings for families to stay busy in Surprise. Families have taken the opportunity to cool off at the pools during open swim as well as water events such as Itty Bitty Beach Party, Dive in Movies and the sold out 4th of July pool party. This summer, the youth were very active with over 700 youth participating in 10 different sports camps held by the Community and Recreation Services Department. Several hundred participants attended all day Summer Camp at Sierra Montana Recreation center and Countryside Recreation Center. Approximately 18,000 participants enjoyed the 4th of July event at the Surprise Recreation Campus. The 35th annual event featured a rookie league game with the Texas Rangers and the Cincinnati Reds, music, food and the main event – fireworks! The community came together to experience a half-size replica of the Vietnam Moving Wall when it came to Surprise in July at Mark Coronado Park. Bringing the wall to Surprise allowed individuals who may not be able to make it to Washington D.C. the ability to experience it. The City was honored to be able to host the wall in this special way to honor and remember the sacrifice of our Vietnam service members. The wall is engraved with more than 58,000 names of killed or missing Vietnam service men and women. An estimated 3,000 – 4,000 visited the wall during its stay. New Special Interest Classes for fall – Beginning folklorico dance, parent’s night out, Kindergarten readiness, soccer skills, skateboarding, Commit Dance Fitness and much more! September 4 – registration will begin for Fall Tee-ball, Baseball, Softball and Volleyball on September 4th. Check out our new sports classes at www.surpriseaz.gov/recreation. September 23, October 21, November 18, December 9 – Sunday in the Park @ Mark Coronado Park from 4-8 pm with food trucks, and live entertainment, yard games and more. September 29 – Movie Night at Surprise Stadium. Free admission into the stadium to watch “Cars 3”. Gates open at 6 pm and movie starts at 7 pm. Concessions will be available. October 13th – The 5th Annual Surprise Fiesta Grande will be held on Saturday, October 13th from 5-10 pm on Hollyhock Street in the Original Town Site. Join us as we celebrate our city’s heritage. The event features authentic Mexican food, mariachis, folklorico dancers, live entertainment, a classic car show and kids zone. October 15-19 – Fall Break Camp – Countryside and Sierra Montana Recreation Centers will be transformed into an exciting day camp during the week of October 15-19. Daily activities will include indoor/outdoor games, arts and crafts, field trips, along with many other fun-filled educational exploration programs and activities. October 20 – Itty Bitty Monster Bash – Attention goblins, monsters, superheroes and princesses. Come party away dressed in your favorite costume from 1p.m.-3:30p.m. at Sierra Montana Recreation Center. November 30 – December 1 – Our 17th Annual Surprise Party will be held on November 30 and December 1 in celebration of our community and anniversary of the Surprise Recreation Campus. Families are invited to gather as the Mayor and Council illuminate the night with the traditional holiday tree lighting ceremony Friday evening. The evening’s festivities will be followed by a series of live entertainment featuring bands, strolling street performances, a traditional hot air balloon glow, Santa’s Workshop, sky divers and an amazing display of fireworks. The fun and excitement will continue Saturday, December 1 with entertainment featuring live dance performances by our City of Surprise Special Interest Class dance troupes, specialty shows, camel rides, a carnival, petting zoo, classic car show and great food! December 8 – Cookies & Crafts with Santa – Come visit with Santa while enjoying cookies and hot chocolate on Saturday, December 8 at Countryside Recreation Center. Spring Training brings people and revenue to Arizona and, as a proud Cactus League city, Surprise is feeling the benefits! Nearly 1.8 million people attended a Cactus League game this past season- more than 190,000 fans visited Surprise Stadium! According to research released last month by the Cactus League, the 2018 Cactus League season generated $373 million in the state’s Gross Domestic Product, resulting in a total economic impact of more than $644 million once you add in jobs, sales taxes and indirect support. Thatâ€™s an 11% increase from the last study conducted in 2015. The City of Surprise is approximately 75% complete with its Transit Feasibility Study. The study’s purpose is to obtain a comprehensive understanding of the City’s current transit needs and the public’s desires for transit in the near and long-term. As part of this effort, the City sought input from its residents through surveys, public mapping exercises, open houses, and transit charrettes. To date, the City has received over 3,000 responses and comments from the public. Approximately 80% of respondents have been Surprise residents, of which, roughly 70% indicated a fair, or better, support and a desire for transit services. Utilizing the information gathered, a draft Transit Network was identified and an additional round of public input on draft transit routes was initiated in June 2018. Council will be presented a Preliminary Transit Network in September with near-term recommendations and preliminary ridership, anticipated costs and route prioritization. With Council’s directions, the transit team will fine tune the preliminary network and conduct a final public outreach scheduled for September. Near and long-term recommendations will be presented to City Council in October 2018, with an anticipated recommendation for acceptance of the Transit Feasibility Study. Detailed information about the Transit Feasibility Study can be found on the City’s website by going to www.surpriseaz.gov/transitstudy. I will be hosting my next quarterly meeting at Larry Miller Dodge on Thursday, August 2 at 6 pm. Several of our Department directors will join me to provide updates. I hope to see you there! Surprise Startup Weekend is coming August 24-26! Do you have an idea you’d like to pursue or a problem you’d like to solve but don’t know where to start or who to start with? Techstars Startup Weekend is the place to look for a team, create a prototype of your idea, validate your business idea, and receive feedback from experienced entrepreneurs, all in one weekend. Fun and highly immersive, this will help any new, potential or existing entrepreneur learn how to get further faster. Buy your tickets here before they sell out! The positive changes in District 3 have been tangible. This is a great time to live here! I am looking forward to a new fiscal year with additional successes for our residents. Event date: April 18, 2019 Event Time: 06:00 PM - 08:00 PMLocation: 16000 N. Civic Center PlazaSurprise, AZ 85374Description:Regularly scheduled Planning & Zoning Commission meeting.